So here it is. The weekend. I hope you all have some wonderful things planned and have a really relaxing time. I plan to be back at the park first thing tomorrow for my second Parkrun. I enjoyed it so much last week I am going back for more. Plus someone mentioned cake. 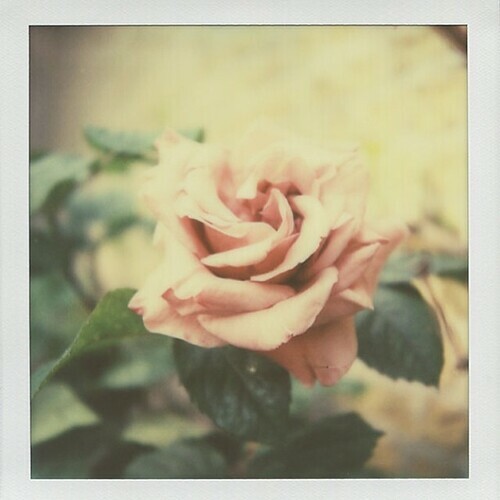 I shall kick the weekend off by showing you this beautiful and delicate polaroid photo. I don't actually think this would have worked so well as a crisp digital image. The softness of this is what makes it so lovely.